Share the post "Two Back on the Market Best Buys…"
The first one, due to a buyer not being able to get funds to close, is back on the market. 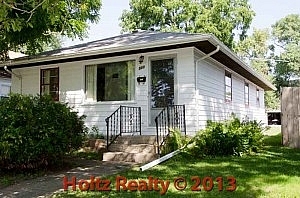 This one owner 3 bedroom ranch home has been lovingly cared for since it was built. The owner in later years had a big 2 car garage constructed that is in very good condition. The oak floors throughout are in near perfect condition. What is unique about this bigger that it looks ranch is that the floor plan in more open that you would find in similar styles. Whomever buys this home, I hope they sell me the jalousie storm door on the front. It is so cute! The basement is finished with a ½ bath, all the appliances are included, it has a newer furnace with central air. This home is now back on the radar so act today. 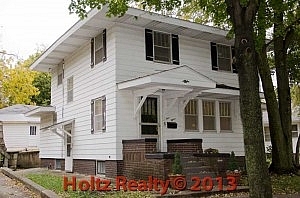 Asking $79,500 Click on the link below to view the details of this great home. The second one, the owner decided to rent it to a friend of the family for six months so now that those months have passed, this absolute family home is back on the market. The current tenant has made strides in bringing the color schemes and decorating up to today’s standards. The oak floors have all been refinished, the basement is dry and has a rec area and ¾ bath, there is a 6 stall garage with drive-thru capabilities and workshop area. Due to the quality and design and appeal, I could live in this home in a New Your second! I discovered that his home was built by a home builder for himself and his family and believe me, the quality shows. There are E N D L E S S possibilities here so don’t wait…Asking $59,500 Click on the link below and see for yourself the great buy that has re-entered the market.